Let’s face it; college is a collection of sleepless nights, long study sessions and rushing off to class. Whether you’re headed off to your freshman year or graduate school, we cannot think of anyone more deserving of a great cup of coffee. Most high schoolers are more than familiar with java – they may even be more educated in a great cup of coffee than their parents. 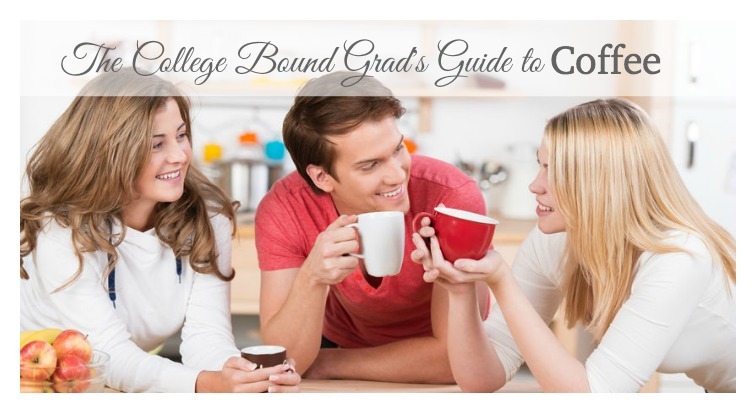 But, if you are hunting down the perfect coffee gift to give to your college-bound grad (or yourself), we have a quick guide to get you started. Where those delicious brown roasted beans come from does matter. Some companies save money on their brews by stuffing beans from different areas around the world into a single batch – talk about a mismatch of robust flavor! We highly recommend always looking for single-origin bags of coffee. Sure, they’re a little more, but trust us when we say they are worth every penny. You can read our full guide on coffee origins right here to understand how origins can affect flavor. Sometimes there are those students that are more environmentally-conscious – and don't want their morning habit impacting the environment. Not all coffee clubs offers organic or fair trade options, but those that do tend to brew up something extraordinary. For those that don't know, fair trade is what refers to coffee beans where fair prices are paid to the producers of those beans in developing countries. The products are made with respect to the people and the workers that created them. Companies that offer fair trade products are showing their commitment to local farms that have been certified to offer fair wages and provide safe working conditions for their employees – and that is important. Like Camano Island Coffee Roasters, for example. All of their k-cups (or “pods” as they like to call them) are recycle-ready and reduce your impact on the environment. The coffee inside includes shade-grown, USDA certified organic coffee beans – including the top 1% Arabica Grade! Now, that's some serious coffee without any serious impacts. Another option is FlavorBean Coffee. Flavorbean uses 100% organic coffee and they were one of the first clubs to do so. All of their beans are chemical and solvent-free – and you can definitely taste the difference. When shopping for coffee or even perusing coffee clubs, the roast is just as important as the bean origin. Light roasts may not have as strong of flavor, but they pack a more powerful caffeine punch. Dark roasts have by far the best flavor – possibly even a smoky taste – but due to the extra roasting, they have less caffeine. Still a bit confused about the different coffee roasts? You can read our full guide to coffee roasts to get a better understanding of the roasting process on coffee flavor. If you drink coffee daily, the same brew and blend can get old. Even if spruce it up with cream and sugar (or flavored creamers), you need variety in the coffee itself. 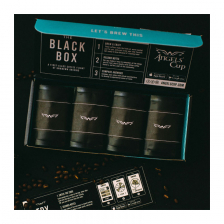 The best way to explore the regions, taste the roasts and see all of the different coffees out there is through a coffee of the month club – and hey, it’s the perfect gift for a college-bound graduate. With a coffee of the month club, your grad doesn’t have to worry about going to the store to find their coffee; it’s delivered to their dorm or apartment monthly! Camano Island Coffee – An awesome club that focuses on organic, fair-trade, shade-grown coffee beans that offer robust flavor. This club also offers recyclable coffee pods for your k-cup style coffee machines! You can get your first pound free and then it's $34.99/shipment for 2 pounds or 32 pods. Caribou Coffee – A fantastic club full of variety and great brews for as little as $14.99 per month. iGourmet Coffee Club – Enjoy a vast selection of coffees starting as low as $59.99 for three months of coffee. While you are at it, browse our complete list of coffee of the month club reviews. Our editors have sipped, tasted, swirled and pinched a little sugar and dab of cream into every cup to bring you a list of the best monthly club options. Pick up a club for your college-bound graduate and while you’re at it, see if you can find a little something for yourself. Congrats to all the recent Graduates! Good luck on the next stage of your adventure!